On Thursday the Supreme Court signaled it was ready to consider more restrictions on abortion rights. Even with a packed docket, the Roberts Court could find room to take up important cases on pregnant workers' rights as well as a direct challenge to Roe v. Wade. After the hubbub of the Supreme Court’s decisions on the Defense of Marriage Act (DOMA) and Proposition 8 came a little-noticed order signaling the Court is that much closer to taking another look at state power to restrict abortion rights. On Thursday the Court added to its docket a case from Oklahoma, but asked the state’s supreme court to answer a few questions first. The case, Cline v. Oklahoma Coalition for Reproductive Justice, turns on the constitutionality of a 2011 state law that bans off-label use of drugs approved for public use by the Food and Drug Administration (FDA) that have the medical effect of ending a pregnancy. The first drug in the protocol banned by the Oklahoma law is RU-486, also known by the names mifepristone or Mifeprex. Under the FDA-approved labeling requirement for that drug, it is to be taken first, at a health facility. The FDA-approved labeling requirements state that the second dose, which is of the drug misprostol, is also to be taken at a health facility to allow a doctor to check to see if the combination worked. But since the FDA-issued labeling requirements, science has advanced and doctors have found ways to induce medical abortions through a combination of the drugs they know to be safer, less costly, and more efficient. Those alternatives are considered to be “off-label” because they are applications of drugs not specified on the FDA-approved label. Doctors commonly prescribe “off-label” uses for medications for a variety of ailments. But the Oklahoma law at the center of this dispute mandates that doctors only prescribe RU-486 or any other “abortion-inducing drug” as authorized by the protocol spelled out on the FDA-approved label. There is another drug, also used off-label in the case. The drug, methotrexate, is frequently used by doctors to end ectopic pregnancy and is also subject to the ban because, as the challengers note, the Oklahoma law only mentions the use of the specified drugs only when they prescribed for abortions. The law was originally challenged in state court where a judge struck it down, agreeing that the off-label use was standard medical practice, and therefore the law’s restrictions on such applications served no purpose other than to ban abortions. The judge blocked the law’s enforcement. Oklahoma appealed and argued to the state supreme court that the law does not effectively ban the use of RU-486 by hyper-regulating it, and that the law did not forbid the use of methotrexate to end ectopic pregnancies. But instead of ruling on those specific issues, the state supreme court, in a brief opinion, ruled that the state law conflicted with federal Supreme Court rulings protecting a woman’s constitutional right to choose abortion. In the order agreeing to put the case on its docket, the Supreme Court asked the state court to answer for the justices whether the Oklahoma law actually does bars the use of misoprostol to induce abortions, including its use in combination with mifepristone in the FDA-approved protocol, and whether it bars the use of methotrexate to treat ectopic pregnancies. To answer those questions, the state court will have to closely review the medical evidence on the use of RU-486 and medical abortions generally, in part to determine if its proper for the state to signal out abortion care for this kind of restriction. The order issued by the justices was explicit in noting that the case had been granted review, so it is likely the Supreme Court will hear the case as soon as it has these answers. Once the Court receives the state court’s answers, it could still dismiss the case without a ruling. However, that seems unlikely since one of the reasons the Court likely accepted the case to begin with is because there is a split among lower courts on the validity of medication abortion restrictions with the Sixth Circuit Court of Appeals ruling to uphold a similar law. The order did state the justices would hold off on any “further proceedings” until after the state Supreme Court has responded. Michelle Movahed, attorney with the Center for Reproductive Rights and lead attorney representing the challengers, welcomed the review. 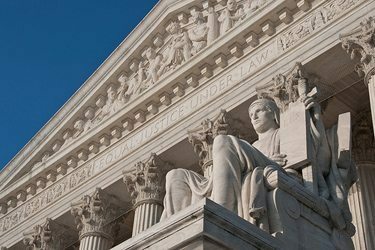 “We’re glad the Supreme Court took seriously our argument that the law is too broad,” Movahed told Rewire. According to Movahed, the next step depends on the Oklahoma supreme court. The order issued by the U.S. Supreme Court did not provide a timetable for the Oklahoma court to respond, nor did it indicate when parties would be required to respond to the questions, and whether or not the court was required to hold a hearing. Should the case proceed to a full-scale ruling by the Roberts Court, it could be a test of state authority to ban medication abortions and a good look at what remaining strength, if any, is had by Roe v. Wade. And that’s a prospect that could prove too tempting for the Court’s conservative majority to resist.